VINEX PRESLAV from Bulgaria requested the Polish Patent Office to decide on the lapse of the right of protection for the trade mark MADARA R-97447 owned by Dimyat Polska Sp. z o.o. Earlier, VINEX PRESLAV applied to the PPO to recognise on the territory of the Republic of Poland of the protection for its international trade mark MADARA IR-0929344. In the preliminary refusal sent to the WIPO, the PPO informed that the trade mark MADARA R-97447 is an obstacle to recognise the protection of the trade mark MADARA IR-0929344 on the Polish territory. VINEX argued that the disputed sign has never been used in Poland in relation to the goods covered by the registration, namely goods from Class 33 such as beverages, wine, spirits, brandies and cognacs. Dimyat claimed that it has acquired the right of protection in 1998, but because of “unexplained delay”, the entry in the register of trade marks was made in 2002. The company had to find a licensee, and the PPO by its decision of March 2005, has made an entry of the licensee into the register. However, under the decision of April 2006, the licensee has been removed from the register. The “confusion” around the entry of a licensee undermined Dimyat’s belief and faith whether the company will be able to exercise that right at all. The PPO decided on the lapse of the right of protection. Dimyat Polska filed a complaint against this decision. The company argued that there existed serious reasons of non-use. 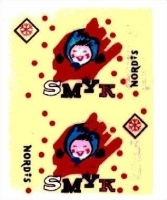 Dimyat became a legal successor of the trade mark MADARA R-97447, however this right was obtained after several years of court battles which finally ended in 2002, and the PPO was aware of this legal disputes. Dimyat claimed that the objective circumstances relating to the acquisition of the trade mark (the acquisition of a company in liquidation), objective circumstances preventing the transfer of its right of protection (the court proceedings in order to recognize the acquisition of a trade agreement to be effective), the objective circumstances relating to the license (all the PPO actions that were associated with the deletion of the license agreement and the appeals) significantly prevented Dimyat from the use of the disputed trade mark. The Voivodeship Administrative Court in Warsaw in its judgment of 14 October 2011 case file VI SA/Wa 1203/11 reversed the contested decision, ruled it unenforceable, and returned the case to the PPO for reconsideration. The Court held that it is the responsibility of the PPO, to examine the request for the lapse of a trade mark in the light of the existence of valid and serious reasons of non-use, if such an argument is raised by the owner. The Court noted that the Polish Industrial Property Law uses the term “serious reasons” but does not provide explanation of its characteristics, or even a list of examples. The case-law established that these circumstances are all the events and situations, which exclude allegations of blameworthy conduct of the holder of the trade mark registration. These events include primarily those that bear the characteristics of force majeure or other external circumstances impossible to foresee and to prevent them, as well as factual and legal obstacles that are independent from the will of the owner. Categories: Art. 169(1)(i) IPL | genuine use | non-use | Polish Act on Industrial Property Law | Polish courts | trade mark lapse | trademark law | Voivodeship Administrative Court. Polish company Śnieżka Invest sp. z o. o. from Świebodzice requested the Polish Patent Office to decided on the lapse of the right of protection for the trademark GOPLANA MICHAŁKI R-139668 owned by Jutrzenka S.A. Śnieżka claimed that the questioned trade was not genuinely used in the period of five successive years after a decision on the grant of a right of protection has been taken. Śnieżka also owns michałki R-72668 trade mark and the company from Świebodzice argued that the market existence of GOPLANA MICHAŁKI sign would interfere its business. Jutrzenka argued that there existed very serious reasons of non-use – the pending administrative proceedings for invalidation of its trade mark. Jutrzenka claimed that the use of the mark in the course of those proceedings would be irrational and it would expose the company to any future claims of Śnieżka. The PPO in its decision of 1 July 2008 no. Sp. 398/07 held that GOPLANA MICHAŁKI trade mark has lapsed. Jutrzenka filed a complaint. The Voivodeship Administrative Court in Warsaw in its judgment of 26 June 2009 case file VI SA/Wa 81/09 dismissed it. Jutrzenka filed a cassation complaint. The Supreme Administrative Court in its judgment of 14 December 2010 case file II GSK 1088/09 dismissed the complaint and ruled that the case for invalidation of the trade mark registration does not qualify as an important reason for non-use thereof. The serious reasons should be factual and/or legal obstacles. These may be external events of force majeure nature that are impossible to predict and prevent. All circumstances relating to ordinary business risks, which concerns the current operations of each business cannot be deemes as such obstacles. A legal obstacle,preventing the use of a trade mark may be, for example, an individual administrative act prohibiting the use of the mark. Categories: Art. 169(1)(i) IPL | Art. 169(2) IPL | Art. 184 PBAC | legal interest | non-use | Polish Act on Industrial Property Law | Polish Act on Proceedings Before Administrative Courts | Polish Supreme Administrative Court | similarity of signs | trade mark invalidation | trade mark lapse | trade mark use. On June 2007, the Polish Patent Office issued a decision in which it has invalidated the right of protection for the word-figurative trade mark Lech-Pol R-132854 that was registered with the priority date of 1998 for goods in Class 33 and owned by Mariusz Lech Przedsiebiorstwo Produkcyjno-Handlowo-Uslugowe LECH-POL from Lask. The right of protection was invalidated in part for alcoholic beverages except for wine. The request was filed by the Polish company Fabryka Wódek POLMOS LAŃCUT S.A. from Lańcut. The company from Lańcut proved that it had a legitimate interest to have standing in proceedings before the Polish Patent Office, based on the fact that on May 2005 Mariusz Lech filed before the PPO a request to invalidate the right of protection for the trade mark lech wódka R-145285. According to Polmos Lancut’s arguments, Mariusz Lech used the disputed trade mark only for products such as strong fruit wines. He was not imposing this sign on all other alcoholic beverages in Class 33. Mariusz Lech argued that, since mid-2001, he began efforts to start the production of vodka under the disputed trade mark. As a potential market for these articles he considered the teritory of Ukraine and the Republic of Poland. With this end in view, a design of bottles bearing these trade marks and labels were made. There were also discussions on the distribution of alcohol in Ukraine. However, with regard to the obstacles, the plan was not realized. The PPO ruled that simply taking the preparatory steps which had no connection with a valid reason that could prevent the use of a trade mark, does not constitute the grounds for dismissal of a request for invalidation of the right of protection. Mariusz Lech filed a complaint against this decision. The Voivodeship Administrative Court in Warsaw in its judgment of 5 February 2008 case file VI SA/Wa 2019/07 dismissed it. Mariusz Lech filed a cassation compalint. The Supreme Administrative Court in its judgment of 16 April 2009 case file II GSK 708/08 dismissed it. See also “Trade mark law, case VI SA/Wa 1042/08” with regard to issues of non-use and genuine use. Categories: Art. 120(1) IPL | Art. 153 IPL | Art. 169(1)(i) IPL | Art. 169(2) IPL | Art. 171 IPL | Art. 172 IPL | genuine use | legal interest | non-use | Polish Act on Industrial Property Law | Polish Supreme Administrative Court | trade mark use | trademark law | Voivodeship Administrative Court. The Italian company Arnoldo Mondadori Editore S.p.A. the owner of the word-figurative CTM GRAZIA no. 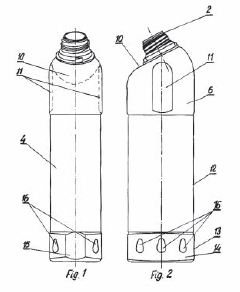 001714146, requested the Polish Patent Office to invalidate the right or protection for the trade mark GRACJA MAGAZYN DLA KOBIET R-121886 owned by the Polish company. The PPO dismissed the request and decided the Arnoldo Mondadori Editore S.p.A. did not prove it has legal interest in such proceedings. The Italian company filed a complaint against this decision. The Voivodeship Administrative Court in its judgment of 19 December 2007 case file VI SA/Wa 1315/07 dismissed it. The Court noted that in the request for the invalidation of the trade mark, the Italian company expressed its intention to start its activities in Poland under the Community trade mark and this justified its legal interest. However, the Court held that such intention was not enough to find legal interest in seeking the invalidation. Any costs incurred by the Company in connection with the intention of entering the Polish market cannot be regarded as an argument to justify a legal interest. Each entrepreneur starting its business must expect to incur such costs. The preventive removal of any competitor, prior to the actual start of own business on such market, is deemed as factual interests, and as such, does not give a status of a party to the proceedings. Categories: Art. 169(1)(i) IPL | legal interest | Polish Act on Industrial Property Law | trade mark invalidation | trademark law | Voivodeship Administrative Court. Bauer Publishing House owns the word-figurative trade mark TWÓJ STYL R-69382 which is registered for goods such as printed matter, newspapers, magazines, books, packaging, clothing, shoes, advertisement services for third-party hotel and catering services. In 2007 the Polish Patent Office issued a decision on the lapse of the right of protection for TWÓJ STYL trade mark in class 25 for goods such as clothing and shoes. The Voivodeship Administrative Court in Warsaw in its judgment of 6 February 2008 case file VI SA/Wa 1418/07 agreed with PPO’s decision and dismissed Bauer’s complaint. The Company filed a cassation complaint. The Supreme Administrative Court in its judgment of 12 March 2009 case file II GSK 762/08 has dismissed Bauer’s cassation complaint. The SAC ruled that, according to Polish case law and legal doctrine, the “genuine use” of a trade mark should be directed towards the consolidation of the brand in the market and should seek for its awareness between consumers and competitors. The opposite to “genuine use” is usually the occasional action taken in order to avoid a non-use accusations and actions that are taken other than for purposes of actual business activity. As part of the obligation to make genuine use of a mark, Polish doctrine established the concept of “preparatory action”, which allows to preserve of the right of protection for a trade mark and possible refutation of the non-use allegations. Examples of such “preparatory action” are: a contract of the importation of goods bearing the trade mark, intense advertising in the media or a license agreement for trade mark use. These are activities that aim to genuinely use a trade mark and such actions should be temporarily and functionally associated with the future use of a trade mark. 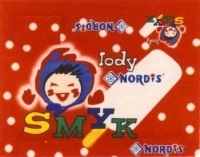 According to the PPO’s findings the owner of TWÓJ STYL trade mark sold clothing with this sign, but this activity ended in 1998 with the last sale of these products. Categories: Art. 120(1) IPL | Art. 120(2) IPL | Art. 154 IPL | Art. 169(1)(i) IPL | Art. 171 IPL | genuine use | Polish Act on Industrial Property Law | Polish courts | Polish institutions | Polish Patent Office | Polish Supreme Administrative Court | trade mark lapse | trademark law | Voivodeship Administrative Court. 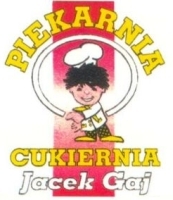 On 9 February 2000, the Polish Patent Office granted the right of protection for the word trade mark PICKENPACK R-118206 applied for on 27 September 1996, the Polish entrepreneur Katarzyna Warzocha from Koniecpol, for goods in classes 29 and 30 such as frozen meat products, fish, poultry and game, frozen fruits and vegetables and frozen flour products. German company Pickenpack-Hussmann & Hahn Seafood GmbH from Lüneburg owned an international registration for the word-figurative trade mark PICKEN PACK IR-520553 in class 29 for goods such as meat, fish, poultry and game as well as cooked fruit and vegetables, cooked take-away dishes mainly consisting of meat, fish, potatoes and/or other vegetables; all these goods are deep frozen. The registration was granted in the Republic of Poland on October 2008. German company filed before the Polish Patent Office a request to declare the lapse of trade mark protection based on provision of article 169(1)(i) of the Polish Act of 30 June 2000 on Industrial Property Law – IPL – (in Polish: ustawa Prawo własności przemysłowej) of 30 June 2000, published in Journal of Laws (Dziennik Ustaw) of 2001 No 49, item 508, consolidated text of 13 June 2003, Journal of Laws (Dziennik Ustaw) No 119, item 1117, with subsequent amendments. Katarzyna Warzocha argued that she started to use the contested trade mark in the previous two years during talks with contractors interested in her offer. She provided information that the PICKENPACK trade mark had been used for frozen products, advertising flyers, business cards and offers of cooperation. 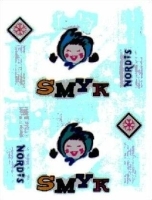 Katarzyna Warzocha claimed that the goods labelled with this trade mark were present at the Polagra fair in the years 2001-2005. She also declared that she was able to provide statements of companies, which took supplies of frozen products poduced by her company. German company argued that this was not real evidence of actual use. On 6 November 2008, the PPO postponed the hearing in this case act signature Sp. 27/06 to supplement the evidence. Categories: Art. 169(1)(i) IPL | genuine use | Polish Act on Industrial Property Law | Polish Patent Office | trade mark lapse | trademark law. On 19 April 2004 the Polish company Browar AMBER Andrzej Przybylo from Bielkówko applied for two word-figurative trade marks HANZA PILSENER Z-279466 and PRIVAT BRAUEREI EST 1664 HANZA PILSENER EXPORT PREMIUM BIER Z-279465. 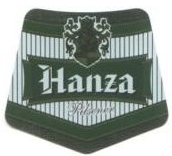 However, the Polish Patent Office was not able to grant them because there existed an earlier registration for the word trade mark HANSA R-77233, first applied for on 30 December 1991 by German company Dortmunder Actien-Brauerei Aktiengesellschaft for goods in Class 32 such as beer. The right of protection was granted by the PPO on 3 March 1994. Browar AMBER filed before the PPO a request to issue a decision on the lapse of the right of protection for the HANSA trade mark. The request was based on Article 169(1)(i) of the Polish Act of 30 June 2000 on Industrial Property Law – IPL – (in Polish: ustawa Prawo własności przemysłowej) of 30 June 2000, published in Journal of Laws (Dziennik Ustaw) of 2001 No 49, item 508, consolidated text of 13 June 2003, Journal of Laws (Dziennik Ustaw) No 119, item 1117, with subsequent amendments. (i) on failure to put to genuine use of the registered trade mark for the goods covered by the registration for a period of five successive years after a decision on the grant of a right of protection has been taken, unless serious reasons of non-use thereof exists. On 18 November 2008, the Polish Patent Office postponed the hearings case file Sp. 574/07 and ordered the German company to provide evidence of trade mark use. The PPO asked for translated invoices confirming the sale of beer under the brand HANSA and for evidence to demonstrate the actual use of that mark. Dortmunder Actien-Brauerei Aktiengesellschaft has a 2-month deadline to file such documents. Categories: Art. 169(1)(i) IPL | non-use | Polish Act on Industrial Property Law | Polish law | Polish Patent Office | trade mark lapse. The Polish Patent Office in its recent decision 18 September 2008 case no Sp. 332/07 of has partially invalidated VOGUE trade mark registered for Advance Magazine Publishers Inc. from USA. The invalidation proceedings were started by Polish entrepreneur Mariusz Lipski from Szczecin, performing his business under the firm “Vogue”. Mr Lipski applied for invalidation of VOGUE trade mark R-68616 in class 18 (leather and imitations of leather, and goods made of these materials) and in class 25 (clothing including footwear, elastic-sides and slippers). Mr Lipski based his legitimate interest on the fact that he was charged in criminal proceedings for the use of VOGUE trade mark. Mr. Lipski has also based his request on constitutional provsion of freedom of economic activity. On 16 June 2008 after filing a request for invalidation of the right of protection Mr. Lipski has also applied for trade mark protection for VOGUE sign Z-342213 in class 25 for goods such as clothing for gymnastics, waterproof clothing, clothing made of leather imitation, garments, household slippers, football boots, beach shoes, jackets, coats, etc. Advance Magazine Publishers’ representative claimed that VOGUE trademark is used in class 18 and 25 by publishing a magazine with fashion regarding those products. However he also acknowledged the fact that VOGUE magazine is not published in Polish language. The PPO took into account the request for invalidation and ruled that VOUGE trademark should be partially invalidated. The PPO held that publishing of a fashion magazine can not be an evidence of the use of the mark for such goods as clothing, shoes, or products made of leather. It has to be demonstrated and proved that a mark was placed on the goods and introduced on the Polish market. Categories: Art. 169(1)(i) IPL | genuine use | Polish Act on Industrial Property Law | Polish institutions | Polish Patent Office | trade mark invalidation | trademark law. On 25 April 2006, Żywiec Group applied for trade mark protection for the CODE Z-310020 sign for goods in class 32 such as beer. However, during the application proceedings the Polish Patent Office found that there existed an obstacle in the form of earlier international trade mark registration owned by the Albert J. Weber Company from Switzerland which was registered among other things for goods in class 32 such as beer, mineral and carbonated water. Żywiec Group filed a motion for a declaration of the expiry of Albert J. Weber’s trade mark before the Polish Patent Office. The trade mark holder did not defend his registration and hasn’t produced any evidence of its use on the Polish market. The Polish Patent Office in its decision of 10 September 2008 act signature Sp. 470/07, set the date of expiry of protection right for CODE IR-0693581 trade mark on 9 October 2007 – the date a request for declaring the expiration was filed. Categories: Art. 169(1)(i) IPL | Polish Patent Office | trade mark lapse | trademark law. Eniro Polska applied for trade mark protection for PANORAMA FIRM in classes 16, 35 and 41 for goods and services such as telephone and address books, providing services to third parties concerning the promotion of goods and services, publishing services, assistance to third parties in the publishing business. The Polish Patent Office issued its decision on 6 September 1994 and granted the protection right, R-81181. Panorama Firm-Marek Stefaniak from Sopot filed a request for invalidation of the right of protection for the PANORAMA FIRM mark, claiming that this sign had lost its distinctive character. The company from Sopot based its arguments on provisions of Article 169(1)(ii) of the Polish Act of 30 June 2000 on Industrial Property Law – IPL – (in Polish: ustawa Prawo własności przemysłowej) of 30 June 2000, published in Journal of Laws (Dziennik Ustaw) of 2001 No 49, item 508, consolidated text of 13 June 2003, Journal of Laws (Dziennik Ustaw) No 119, item 1117, with subsequent amendments. Both conditions must appear together, which means that the sign has to lose its distinctiveness and that the trade mark owner contributed to such process. The Polish Patent Office, in its recent decision of 18 August 2008, act signature Sp. 304/05, rejected Panorama Firm-Marek Stefaniak’s request and ruled that Eniro Polska had proved that PANORAMA FIRM trade mark was in intensive use and that it was also broadly advertised and protected. Categories: Art. 169(1)(i) IPL | distinctive character | Polish Act on Industrial Property Law | Polish Patent Office | trade mark invalidation | trademark law.